I am excited for this colourful and brilliant post because it's not everyday you get a splash of rainbow colours. For this exciting post, I look to chat about these cute and pretty looking Revo lip balms that have been surfacing the beauty market and trending in every girl's handbag. They're colourful and eye catching balls which I am sure you can't lose them out of your sight. 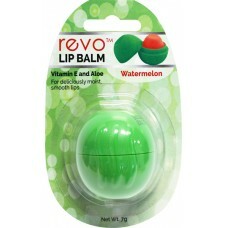 So where can you look to purchase these cute looking and trending lip balms? I checked out the Beauty Office AKA http://www.thebeautyoffice.com.au/shop/shop-by-brand/revo where they stock many flavours and colours on their online e-store. Just a friendly note with the Beauty Office online store, they're packed with so many brands that you'll love the variety of brands that it offers. The prices are decent and definitely affordable at the click of a mouse. The trend pretty much started off with the EOS trend and it was difficult to obtain in the beauty markets. Thanks to the Beauty Office, you can get a similar version for an affordable price and also of the same benefits it can deliver. Revo lip balms has been launched by the Beauty Office and I am so glad that they chose to do this because there is more variety in the beauty market and you're not left choosing the same old lip balm every time you go to shop for one. Why not fancy it all up in your lip balm department and look to collect every colour of the range...you get to smell awesome flavours and scents whilst making sure that your lips stay super hydrated all day long. For the packaging of these cute lip balms is that they're all in ball sized form and they remind of little Kinder Surprise balls. They have their expiry date printed on the actual outside product so this definitely is handy for if you're conscious of lip balms expiring. The actual flavours are printed on the plastic that encases the egg sized lip balm which is useful to know. The colour of the product pretty much speaks what kind of flavour it will be (Just for those wondering whether these lip balms are labelled.) E.g. Pink means strawberry. Great for winter and smooth looking lips and re-apply when needed. Otherwise check out here to go to the online store for more flavours! 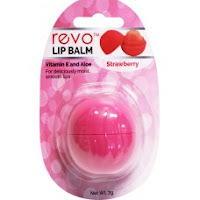 Be sure to check these cute Revo lip balms out because they're definitely super fun and best of all, get stocked for the Winter season...your lips will thank you for it. Thank you THE BEAUTY OFFICE AND REVO LIP BALMS for supporting me for this review. My reviews are based on my personal and true experiences. I only recommend products that I truly support.